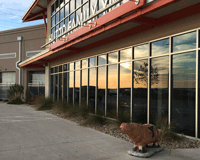 The North Austin branch of Texas Landscape Creations operates out of Hutto, TX. As members of the community, we take pride in keeping our area beautiful. 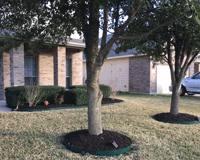 We offer a wide variety of resources for both commercial and residential landscaping and lawn maintenance customers in Hutto. TLC offers lawn maintenance programs, landscaping installation and irrigation installations, modifications and repairs for commercial clients. Call (512) 992-9252 today to discuss your commercial landscaping needs! Chasco Construction chose TLC for their commercial landscaping installation needs for the Hutto YMCA. 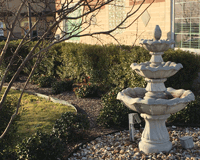 TLC installed both an irrigation system, including an extensive drip irrigation portion, as well as sod and native plants to create a professional, family friendly environment. TLC takes pride in assisting businesses of all sizes.